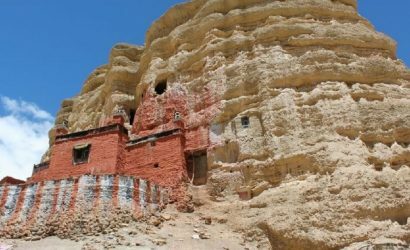 Upper Mustang Trek leads you to the ancient kingdom of Mustang with the ever gracing presence of Buddhist religion. The old kingdom of Mustang, which is also known in the local language as Lo, has a long historical heritage. In the old times, Mustang was politically part of the Tibetan empire, and one can feel the old relationship still alive with cultural similarities to Tibet. Geographically Nepal is small but has so much to offer the visitors that each day of your journey in this diverse land will be remarking discovery. It is a great opportunity to observe the ever varying natural vegetation, a vast set of cultural diversity and extensive adventure offerings the country can provide. The eight of ten highest peaks in the world which is in Nepal is undoubtedly the country’s biggest allure. But there is much more than just the Mt. Everest and its minions. The world class white spring water rolling from great Himalayas gives you the opportunity for river rafting and the flat lands of Terai of jungle reserves that shelter some of Asia’s most exotic wildlife. The breathtaking biodiversity which is here in Nepal has given the country a natural affluence that is hard to find in every other country. There are longer and shorter trekking routes in Nepal.the country geographical structure is very much suitable for trekking.travellers from all over the world love to go trekking in Nepal to enjoy the beautiful sights on the way.there are many world famous trekking routes in Nepal.world longest and probably the best trekking route Annapurna base camp, everest base camp are nepal’s famous trekking routes. beside these, Manaslu trekking route, Langtang, khumbu, upper mustang and lower mustang, dolpo region, Kanchenjunga trekking of the mountain region and numbur cheese circuit originating from jiri are famous and long trekking routes in Nepal. whereas short trekking routes around pokhara include poonhill, ghandruk, Dhampus, sirubari, Panchase, Machhapuchre model trek, pancha pokhari and helumbu.There are many mountain ranges and base camps in the world but no any country does posses the unique geographical structure and lovely view available in trekking trails of Nepal.